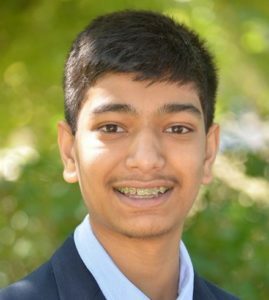 Rohan has been invited to represent North Carolina at Center for Excellent in Education’s Research Science Institute (RSI) and his research involved developing a low-cost collision avoidance system for aircraft using a 360 degrees radar under mentorship of MIT professors. He also invited an Arduino based device that reduces wasted power consumption. These accomplishments got the nod from the judges to be honored as a First place winner in this category. class="pirenko_team_member-template-default single single-pirenko_team_member postid-3457 samba_theme samba_left_nav samba_left_align samba_responsive ecwd-theme-samba wpb-js-composer js-comp-ver-5.4.5 vc_responsive"